It represents cutting-edge scientific and technological achievements in X-ray, video, and digital imaging technologies, demonstrating excellent mechanical properties. Our design philosophy takes into account the interests of patients and medical staff. Based on listening to customers' opinions and applying the most advanced technologies, we provide high-quality mobile imaging solutions with high quality awareness and good service awareness. Each product can reflect our unique design concepts and humanized operating procedures. Simple and easy to use: Mobile is flexible and convenient, safe to use, and meets the requirements of orthopedic surgery operations. All operations can be easily completed by non-radioactive personnel within five steps. Laser Locator: accurate positioning during surgery to achieve first position after perspective, to avoid repeated exposure. Full digital imaging technology: High-definition 1.3 megapixel digital camera captures, transmits, processes, displays, and stores images at 30 frames per second, providing full-scale digitization of megapixels of the best clinical image and increasing the grayscale of the image And sharpness, with imaging speed, low radiation dose and so on. Digital photography (digital spotting): Ordinary screen photography has been eliminated and digital photography can obtain better clinical images. Smart Exposure Dose Control: No matter whether the illuminated object is in the edge region or the center region of the enhancer, a consistent quality imaging effect can be obtained and the exposure dose can be reduced. Virtual rotation function of the camera: Digital images can be rotated 360° from left to right without ray to facilitate doctors' viewing. Pattern programming: Users can customize the image processing parameters or select three fixed modes to obtain the best clinical image and can be put into use after startup. Two 17-inch LCD monitors: It is convenient for doctors to observe intraoperative and lateral images. Multiple image display: full screen, 2x2 grid, 3x3 grid display. Image storage and printing: The images are saved in DICOM, JPG format, allowing doctors to quickly access, transfer and print images at any time. Intelligent digital subtraction function (optional): Background recognition function to eliminate the image background relief technology. Open system upgrade: Optional DSA software package for fallopian tube imaging, ERCP imaging, peripheral angiography and other interventional procedures. 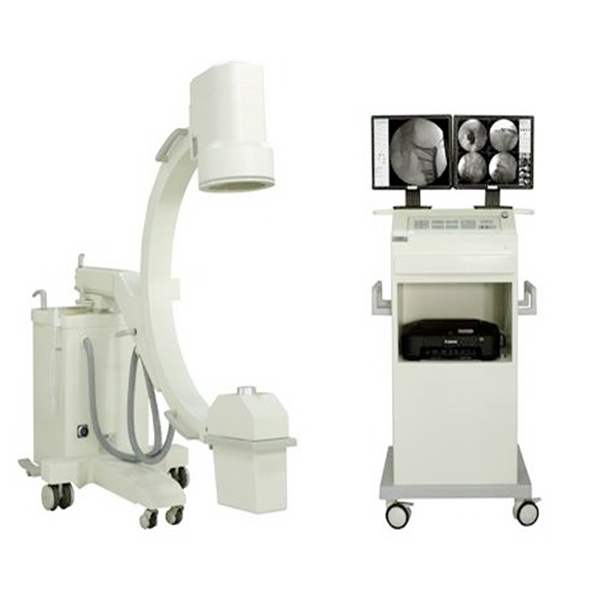 BPM is the best c-arm x-ray machine supplier. Welcome your inquiry.